I wonder why all of those whirlpools are forming south of Africa and north of South America? They kind of look like hurricanes. They seem to follow the same general path that the hurricanes follow also. I wonder if they are related in any way? Also, check out the jet stream that is blasting up the coast of Florida. Could that be an explanation for some of the ships and planes that disappeared in the Bermuda Triangle? Anything that sunk in that current would have been carried halfway up to New Jersey. Maybe they should look further north for all of those things that have disappeared. Scientists estimate that the amount of gold produced during a recent short gamma-ray burst may be as large as 10 Moon masses. This artist's conception portrays two neutron stars at the moment of collision. New observations confirm that colliding neutron stars produce short gamma-ray bursts. Such collisions produce rare heavy elements, including gold. All Earth's gold likely came from colliding neutron stars. // Dana Berry, SkyWorks Digital, Inc.
We value gold for many reasons: its beauty, its usefulness as jewelry, and its rarity. Gold is rare on Earth in part because it’s also rare in the universe. Unlike elements like carbon or iron, it cannot be created within a star. Instead, it must be born in a more cataclysmic event like one that occurred last month known as a short gamma-ray burst (GRB). Observations of this GRB provide evidence that it resulted from the collision of two neutron stars — the dead cores of stars that previously exploded as supernovae. Moreover, a unique glow that persisted for days at the GRB location potentially signifies the creation of substantial amounts of heavy elements, including gold. “We estimate that the amount of gold produced and ejected during the merger of the two neutron stars may be as large as 10 Moon masses — quite a lot of bling!” said Edo Berger of the Harvard-Smithsonian Center for Astrophysics (CfA) in Cambridge, Massachusetts. A GRB is a flash of high-energy light — gamma rays — from an extremely energetic explosion. Most are found in the distant universe. Berger and his colleagues studied GRB 130603B, which, at a distance of 3.9 billion light-years from Earth, is one of the nearest bursts seen to date. Gamma-ray bursts come in two varieties — long and short — depending on how long the flash of gamma rays lasts. GRB 130603B, which was detected by NASA’s Swift satellite June 3, lasted for less than two-tenths of a second. remember, back in july when we were asked to look up & wave? In a picture of Saturn's rings taken on July 19 by the Cassini spacecraft, one bright dot can be seen in the distance. That dot, just one pixel, happens to be our planet but what you can't see in the image is what 1,400 Earthlings are doing at that moment. On July 19, knowing that our planet would be in pictures taken that day due to a rare total eclipse of the sun, NASA asked people all over the world to take time out of their day to spot the planet in the sky and wave at Cassini, 900 million miles away. Overall, people from 40 countries and 30 U.S. states submitted pictures of themselves waving at the spacecraft to Flickr, Facebook, Twitter, Google+, Instagram and through email. And the mosaic of the Earth is actually quite similar to the work that Cassini is doing around Saturn. The satellite has been taking several images of the planet which scientists have been blending together to create one multi-image picture of Saturn's rings. The Cassini-Huygens mission is a collaboration between NASA, the European Space Agency and the Italian Space Agency. ❶ HD Documentary Channel: For all your Space, Universe, Science and Technology documentaries! GlobalSelfie bannerNASA invites you -- and everyone else on the planet -- to take part in a worldwide celebration of Earth Day this year with the agency's #GlobalSelfie event. 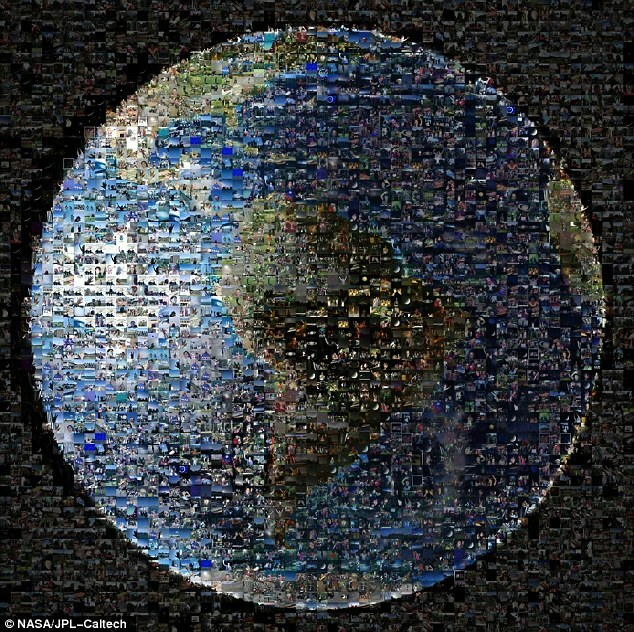 The mosaic is based on views of each hemisphere that were captured on April 22, 2014 by the Visible Infrared Imaging Radiometer Suite instrument on the Suomi National Polar-orbiting Partnership (NPP) satellite, a joint NOAA-NASA mission. The diagonal stripes in the images are due to the satellite capturing the reflection of sunlight off ocean waters. The year 2014 is a significant one for NASA Earth science. For the first time in more than a decade, five missions designed to gather critical data about our home planet are launching to space in a single year. The first, the Global Precipitation Measurement mission, launched in February. Next up is the Orbiting Carbon Observatory-2 (OCO-2), launching from California’s Vandenberg Air Force Base on July 1. NASA is marking this important year for Earth science with a campaign called Earth Right Now. The Polaris solid-fuel ballistic missiles were tested in the 1960s. Wernher von Braun made a trip to Antarctica in 1967. In ancient times, subterranean realms were associated with the Greek Hades, the Nordic Svartalfheim, the Christian Hell, and the Jewish Sheol. Dante Alighieri’s Purgatory hill in “The Divine Comedy” (1300s) was a tunnel to the inner earth, which was supposed to be the resting place of all persons before an eventual ruling of justice. Earth, our home, is the third planet from the sun. It is the only planet known to have an atmosphere containing free oxygen, oceans of liquid water on its surface, and, of course, life. Earth is the fifth largest of the planets in the solar system — smaller than the four gas giants, Jupiter, Saturn, Uranusand Neptune, but larger than the three other rocky planets, Mercury, Marsand Venus. Earth has a diameter of roughly 8,000 miles (13,000 kilometers), and is round because gravity pulls matter into a ball, although it is not perfectly round, instead being more of an "oblate spheroid" whose spin causes it to be squashed at its poles and swollen at the equator. Roughly 71 percent of Earth's surface is covered by water, most of it in the oceans. About a fifth of Earth's atmosphereis made up of oxygen, produced by plants. While scientists have been studying our planet for centuries, much has been learned in recent decades by studying pictures of Earth from space. Earth spins on an imaginary line called an axis that runs from the North Pole to the South Pole, while also orbiting the sun. It takes Earth 23.439 hours to complete a rotation on its axis, and roughly 365.26 days to complete an orbit around the sun. Earth's axis of rotation is tilted in relation to the ecliptic plane, an imaginary surface through Earth's orbit around the sun. This means the northern and southern hemispheres will sometimes point toward or away from the sun depending on the time of year, varying the amount of light they receive and causing the seasons. Earth's orbit is not a perfect circle, but is rather an oval-shaped ellipse, like that of the orbits of all the other planets. Earth is a bit closer to the sun in early January and farther away in July, although this variation has a much smaller effect than the heating and cooling caused by the tilt of Earth's axis. Earth happens to lie within the so-called "Goldilocks zone" around its star, where temperatures are just right to maintain liquid water on its surface. The Earth and the Solar System is located within the Milky Way, so it’s kind of difficult to figure out where is Earth in the Milky Way. In fact, astronomers have only realized that the Milky Way is actually the disk of our galaxy, and not a vast nebula or collection of stars. Astronomers have only really know that there are other galaxies for less than a century. The Milky Way is a barred spiral galaxy that measures about 100,000 light-years across, and is thought to contain between 100 and 400 billion stars. The Solar System (and Earth) is located about 25,000 light-years to the galactic center and 25,000 light-years away from the rim. So, imagine a dinner plate as the Milky Way, and draw an imaginary line from the center of the plate to the outside. We’re located about halfway along that line. Astronomers have recently agreed that the Milky Way probably has two major spiral arms – Perseus arm and the Scutum-Centaurus arm – with several smaller arms and spurs. 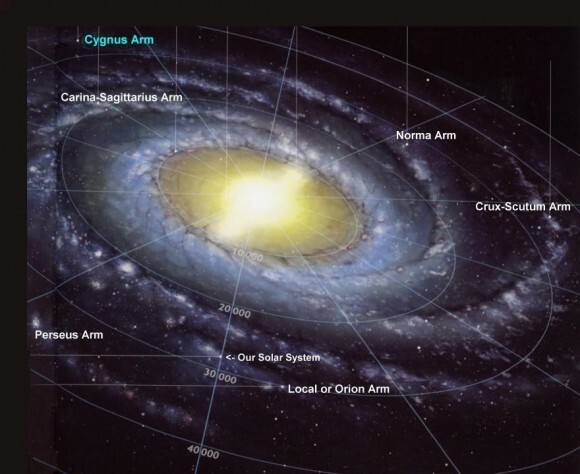 The Solar System is located in a region in between the two arms called the Orion-Cygnus arm. This arm measures 3,500 light-years across and is 10,000 light-years in length, where it breaks off from the Sagittarius Arm. You might be surprised to learn that it takes the Sun 250 million years to complete one rotation around the Milky Way. The last time the Solar System was in this position in the Milky Way, there were dinosaurs on Earth. "Life on Earth Could Have Existed Even Before 3.2 Billion Years Ago"
"We'll never find any direct evidence of land scum one cell thick, but this might be giving us indirect evidence that the land was inhabited," said Roger Buick, a University of Washington professor of Earth and space sciences. "Microbes could have crawled out of the ocean and lived in a slime layer on the rocks on land, even before 3.2 billion years ago." A spark from a lightning bolt, interstellar dust, or a subsea volcano could have triggered the very first life on Earth. But what happened next? Life can exist without oxygen, but without plentiful nitrogen to build genes - essential to viruses, bacteria and all other organisms - life on the early Earth would have been scarce. The ability to use atmospheric nitrogen to support more widespread life was thought to have appeared roughly 2 billion years ago. Now research from the University of Washington looking at some of the planet's oldest rocks finds evidence that 3.2 billion years ago, life was already pulling nitrogen out of the air and converting it into a form that could support larger communities. "People always had the idea that the really ancient biosphere was just tenuously clinging on to this inhospitable planet, and it wasn't until the emergence of nitrogen fixation that suddenly the biosphere become large and robust and diverse," said co-author Roger Buick, a UW professor of Earth and space sciences. "Our work shows that there was no nitrogen crisis on the early Earth, and therefore it could have supported a fairly large and diverse biosphere." Even the oldest samples, 3.2 billion years old - three-quarters of the way back to the birth of the planet - showed chemical evidence that life was pulling nitrogen out of the air. The ratio of heavier to lighter nitrogen atoms fits the pattern of nitrogen-fixing enzymes contained in single-celled organisms, and does not match any chemical reactions that occur in the absence of life. Analysis of galaxies shows local supercluster to be 100 times larger than previously thought. The supercluster of galaxies that includes the Milky Way is 100 times bigger in volume and mass than previously thought, a team of astronomers says. They have mapped the enormous region and given it the name Laniakea — Hawaiian for 'immeasurable heaven'. Galaxies tend to huddle in groups called clusters; regions where these clusters are densely packed are known as superclusters. But the definition of these massive cosmic structures is vague. The new study, published in Nature1, describes a novel way to define where one supercluster ends and another begins. A team led by Brent Tully, an astronomer at the University of Hawaii in Honolulu, charted the motions of galaxies to infer the gravitational landscape of the local Universe, and redraw its map. The team used a database2 that compiles the velocities of 8,000 galaxies, calculated after subtracting the average rate of cosmic expansion. “All these deviations are due to the gravitational pull galaxies feel around them, which comes from mass,” says Tully. The researchers used an algorithm to translate these velocities into a three-dimensional field of galaxy flow and density. “We really can’t claim to have a good understanding of cosmology if we cannot explain this motion,” says Tully. This method is superior to merely mapping the location of matter, because it enables scientists to build a map of uncharted regions of the Universe, says Paulo Lopes, an astrophysicist at the Valongo Observatory, part of the Federal University of Rio de Janeiro. It relies on detecting the galaxies' influence, rather than seeing them directly. Moreover, the galaxies' motions reflect the distribution of all matter, not just that which is visible in our telescopes — including dark matter. Discounting cosmic expansion, their map shows flow lines down which galaxies creep under the effect of gravity in their local region (see video). Based on this, the team defines the edge of a supercluster as the boundary at which these flow lines diverge. On one side of the line, galaxies flow towards one gravitational centre; beyond it, they flow towards another. “It’s like water dividing at a watershed, where it flows either to the left or right of a height of land,” says Tully. The discovery of our Galaxy’s place in the Universe adds detail to our address. Ahh see..unless we send out engraved invitations..they'll never know we're here. I've still got a niggling feeling that a lot of our 'visitors' are dimensional beings rather than VERY long distance travelers. Or..they know how to use doorways or bend space in a quantum physicsy way we don't have a clue of. Well I've met the one..but not the other and I'll stay out of his woods if he stays out of my apartment If they exist..they need to do it in peace..left alone by their #1 predator..US. I'm sure any and all 'aliens' who might have dropped by are aware that we're fairly hostile. 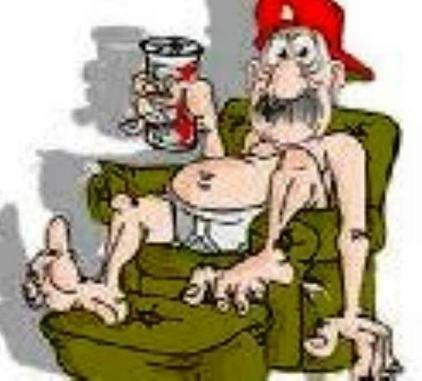 Still boils down to fear..get them before they get us..seems to be the way most of us meet the unusual. Personally..I just figure if they wanted the place, it would be theirs already..not that there's that much left that we haven't mucked up. There are earthquakes now in places in the US that never saw a quake..from fracking. The smog in China is thick as pea soup and Japan is just likely to slide into the ocean any day. Of which..we're steadily polluting or building new islands out of floating garbage..I'm not sure which. Someone else would have to show me the benefit of conquering this planet. I wish all of humanity had the concern and care and sense that I've seen here. Maybe that's what draws people here..where people are actually trying to learn and understand and grow. Starts small..maybe it will be a giant snowball someday. At the end of a day devoted to Earth, people can look to the heavens for a beautiful shower of Lyrid meteors. Does Planet Earth Need Its Own Flag? Astronauts have planted six U.S. flags on the Moon, but Earth is divided into nearly 200 individual countries. In the event that an extraterrestrial group stumbled upon the flags of Earth's resident countries out in the solar system, things could get confusing. One graphic designer has a solution: Why not devise a flag to represent planet Earth and all its residents. Oskar Pernefeldt, a student at Beckman's College of Design in Stockholm, Sweden, came up with a international flag design for our humble galactic home, as Elizabeth Howell recently reported for Space.com. Pernefedt started the project as part of his degree, and chose to keep the aesthetic simple and clean. The flag features seven white, interconnected circles that form a flower-like emblem atop a blue background. Though the layout might appear simple and straightforward, Pernefeldt actually took a strategic approach to creating the design, employing the scientific study of flags or vexillography. For dimensions, he went with the most common ratio for flags here on Earth, 2:3. The blue hue was selected to stand out against the darkness of space and the whiteness of a spacesuit, as he explains in his design proposal. Initially, Pernefeldt thought the seven circles could represent the planet's seven continents, but later opted against that metaphor, he told Jay Cassano of Co.Exist. Earth's geology could change with climate or geoengineering, or a continent could get demoted (think Pluto's demotion from planet to dwarf planet). Either way, Pernefeldt wanted a timeless design and chose to evoke life's origins on Earth instead. While the "flower" serves as a symbol of the many organisms that inhabit Earth, the blue stands for Earth's water, the presence of which made life possible on our planet — and possibly others. Have you heard the terrifying news that the Earth's poles are going to flip? What does "flipping" mean? And if the Earth's poles do flip, are we in any danger? There have been many estimates for when the earth’s inner core was formed, but scientists from the University of Liverpool have used new data which indicates that the Earth’s inner core was formed 1 – 1.5 billion years ago as it “froze” from the surrounding molten iron outer core. This increased magnetic field is a likely indication of the first occurrence of solid iron at Earth’s centre and the point in Earth’s history at which the solid inner core first started to “freeze” out from the cooling molten outer core. Dr Biggin added: “The theoretical model which best fits our data indicates that the core is losing heat more slowly than at any point in the last 4.5 billion years and that this flow of energy should keep the Earth’s magnetic field going for another billion years or more. By definition, the Earth’s rotation is the amount of time that it takes to rotate once on its axis. This is, apparently, accomplished once a day – i.e. every 24 hours. However, there are actually two different kinds of rotation that need to be considered here. For one, there’s the amount of time it take for the Earth to turn once on its axis so that it returns to the same orientation compared to the rest of the Universe. Then there’s how long it takes for the Earth to turn so that the Sun returns to the same spot in the sky. The night sky, showing 6 hours of rotation captured by long-exposure. As we all know, it takes exactly 24 hours for the Sun to return to the same spot in the sky, which would seem obvious. 24 hours is what we think of as being a complete day, and the time it takes to transition from day to night and back again. But in truth, it actually takes the Earth 23 hours, 56 minutes, and 4.09 seconds to turn rotate once on its axis compared to the background stars. Why the difference? Well, that would be because the Earth is orbiting around the Sun, completing one orbit in just over 365 days. If you divide 24 hours by 365 days, you’ll see that you’re left with about 4 minutes per day. In other words, the Earth rotates on its axis, but it’s also orbiting around the Sun, so the Sun’s position in the sky catches up by 4 minutes each day. PLEASE! We live on a planet that is fantastic and beautiful! When are we going to start treating it properly?! Maybe that's what draws people here . .